The LT1083 series of positive adjustable regulators are designed to provide 7.5A with higher efﬁciency than currently available devices. All internal circuitry is designed to operate down to 1V input-to-output differential and the dropout voltage is fully speciﬁ ed as a function of load current. Dropout is guaranteed at a maximum of 1.5V at maximum output current, decreasing at lower load currents. 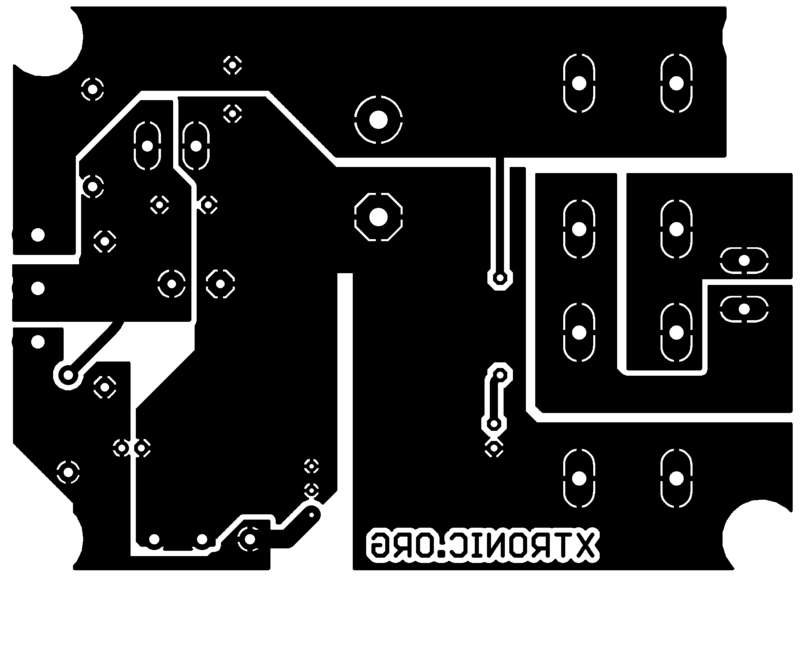 On-chip trimming adjusts the reference voltage to 1%. Current limit is also trimmed, minimizing the stress on both the regulator and power source circuitry under overload conditions. 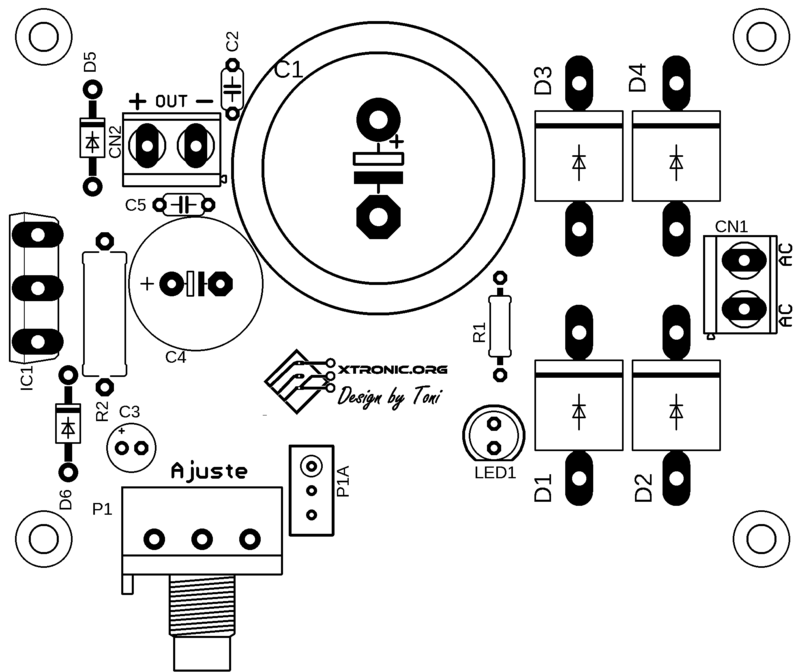 The LT1083 device are pin compatible with older 3-terminal regulators. A 10μF output capacitor is required on these new devices. 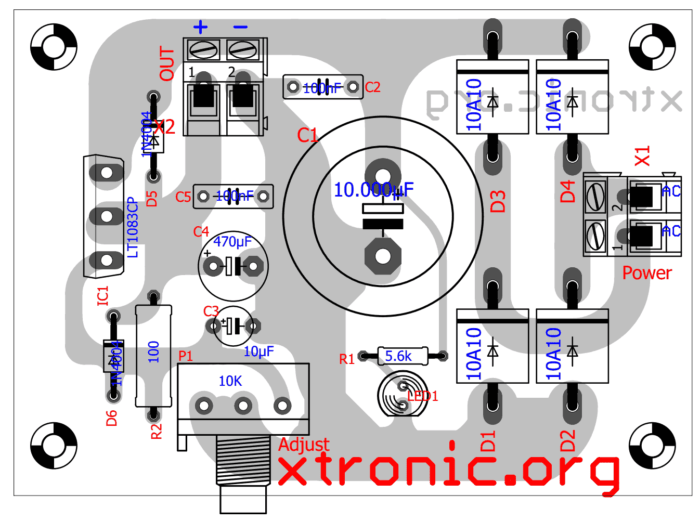 However, this is included in most regulator designs. Unlike PNP regulators, where up to 10% of the output cur-rent is wasted as quiescent current, the LT1083 quiescent current ﬂows into the load, increasing efﬁciency. The LT1083 family of 3-terminal adjustable regulators is easy to use and has all the protection features that are expected in high performance voltage regulators. They are short-circuit protected, and have safe area protection as well as thermal shutdown to turn off the regulator should the junction temperature exceed about 165°C. These regulators are pin compatible with older 3-terminal adjustable devices, offer lower dropout voltage and more precise reference tolerance. Further, the reference stability with temperature is improved over older types of regula-tors. 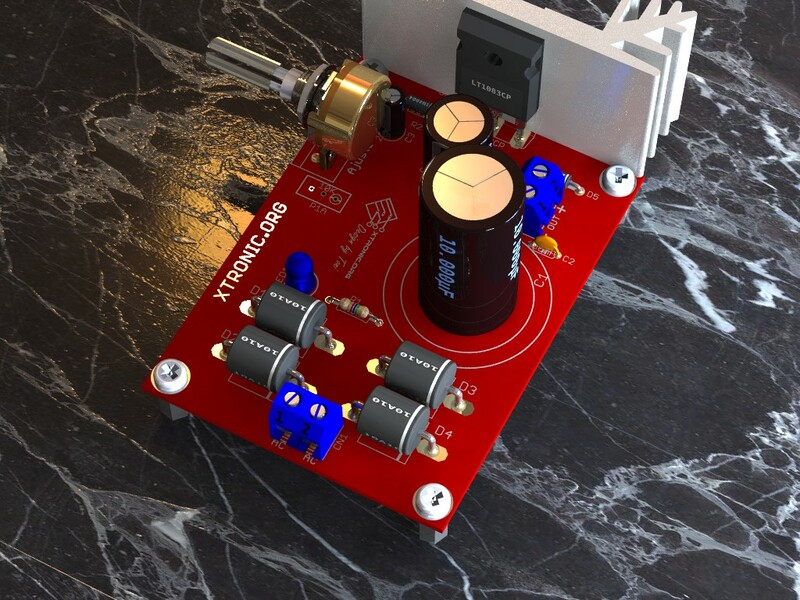 The only circuit difference between using the LT1083 family and older regulators is that this new family requires an output capacitor for stability. The circuit design used in the LT1083 family requires the use of an output capacitor as part of the device frequency compensation. For all operating conditions, the addition of a 150μF aluminium electrolytic or a 22μF solid tantalum pin instantaneously shorted to ground, can damage occur. A crowbar circuit at the input of the LT1083 can generate those kinds of currents, and a diode from output to input is then recommended. Normal power supply cycling or even plugging and unplugging in the system will not generate current large enough to do any damage. 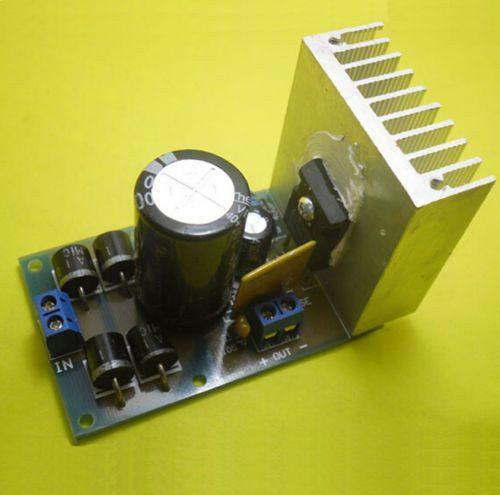 The adjustment pin can be driven on a transient basis ± 25V, with respect to the output without any device degradation. 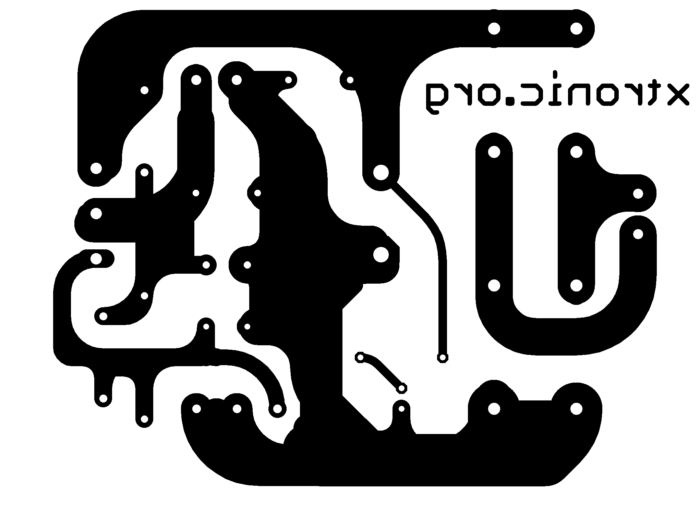 Of course, as with any IC regulator, exceeding the maximum input to output voltage differential causes the internal transistors to break down and none of the protection circuitry is functional. 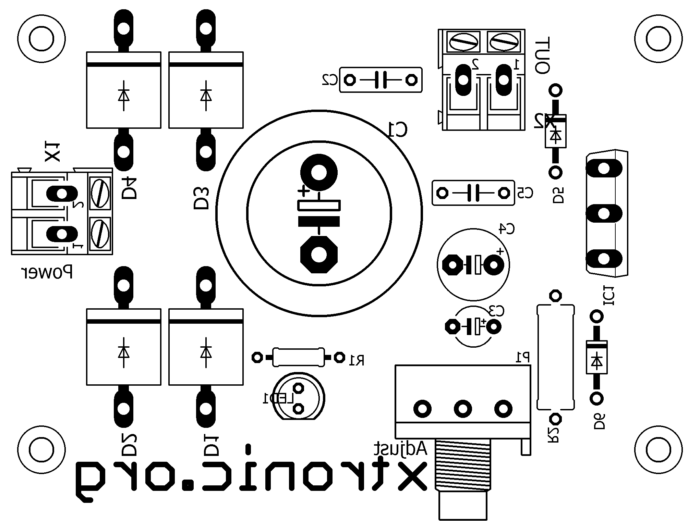 Download PDF Files: Suggested printed circuit board (Copper side, side components, Silk Screen) Schematic and Datasheet. wich transfo do you use on input for ex 220/12v or 220/18v ? 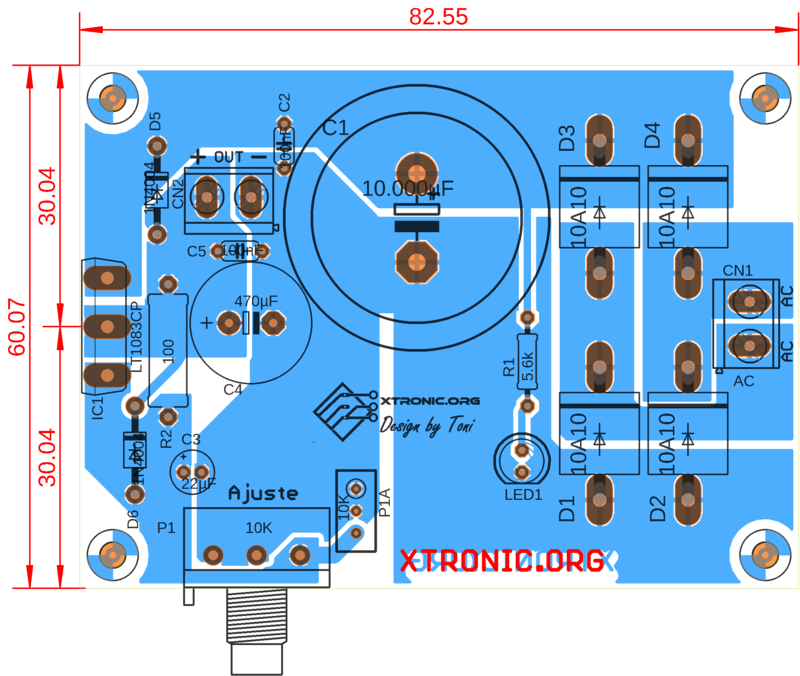 Hi, Can I use a trimpot resistor 5/10K instead a potentiometer? could you give me information to download the circuit from this power supply, which transformer input do you use ? many thanks for your reply . Hola, podrías subir el archivo pdf a otro repositorio? pues megaupload ya murió. The 3D rendering is S U P E R B ! Which software was used to create it?